I love theme parks. I have a lifetime pass to LEGOLAND, am a member of DVC and have a passport to Disneyland. If I could visit this wonderfully imaginative park by Alexis Dos Santos I would. 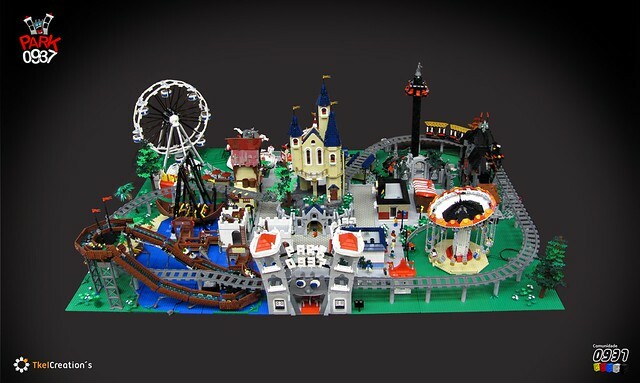 It's got everything, a flume ride, a circling train, a ferris wheel, a fantasy castle and more. All with a whimsical style that is so inviting. There's only one photo at this time, so you'll have to click through and scroll around to truly appreciate this.